Safekeep offer business and individual a wide range of affordable & reliable office and storage solution. Our goals are to provide convenient, secure and affordable office and storage space. 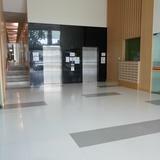 Our Building is a light industrial building classified as B1.